Demographic trends make one thing abundantly clear: as time goes on, more older workers will be a part of the workforce. Statistics are that 85% of current Baby Boomers plan to work well into their 70s and even beyond. Whether for financial security or the desire to continue to be contributing members of society, older workers are becoming a fact of life in many fields. Employers, therefore, need to be strategic in order to support older workers and to dispense with misconceptions that could affect the attitudes of younger colleagues. For some analysis and advice about how employers can successfully keep and integrate older workers into the workforce, read here and here. However, the current picture is far from rosy. Older workers regularly face age bias, and a new US Appeals Court ruling has even declared that federal laws against age bias in employment only cover current employees and don’t extend to employer hiring practices. Sometimes older job applicants don’t get interviews because of misplaced employer concerns about hiring an older person. 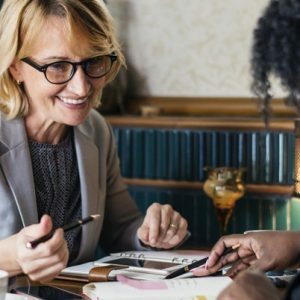 While that’s blatantly discriminatory, it also means that older job applicants need to be as sharp and strategic as possible when applying for a position. For some hints on how to craft an effective resume as an older applicant, click here. Finally, one uncomfortable reality that may accompany a limited number of older workers: cognitive decline that affects workplace performance. While this is a sensitive issue, and the Americans With Disabilities Act should apply to those who receive a dementia diagnosis, the reality is that more and more employers will need effective plans to deal with employees who need to be accommodated due to declining skills or abilities. To read more about this delicate topic, take a look here.